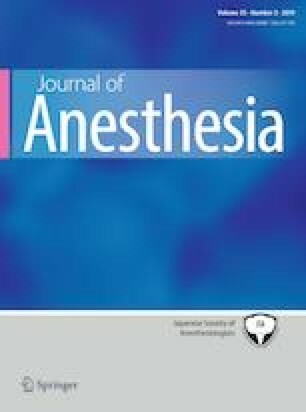 Postoperative cognitive dysfunction (POCD) is a serious complication of anesthesia and surgery, and the major risk factor of POCD is aging. Although the exact pathophysiology of POCD remains unknown, two possible and reliable mechanisms have been proposed: neuroinflammation and neurodegeneration, i.e., amyloid β accumulation and/or tau protein phosphorylation, by surgery and/or general anesthetics. White matter lesions (WML) are produced by chronic cerebral hypoperfusion, frequently observed in elderly people, and closely related to cognitive decline. As recent studies have revealed that WML are a significant risk factor for POCD in humans, and we previously also demonstrated that persistent hypocapnea or hypotension caused neuronal damage in the caudoputamen or the hippocampus in a rat model of chronic cerebral hypoperfusion, which features global cerebral WML without neuronal damage and is recognized as a good model of human vascular dementia especially in elderly people, we hypothesize that in addition to those two previously proposed mechanisms, perioperative vital sign changes that cause reductions in cerebral blood flow might contribute to POCD in patients with WML, whose cerebral blood flow is already considerably decreased.